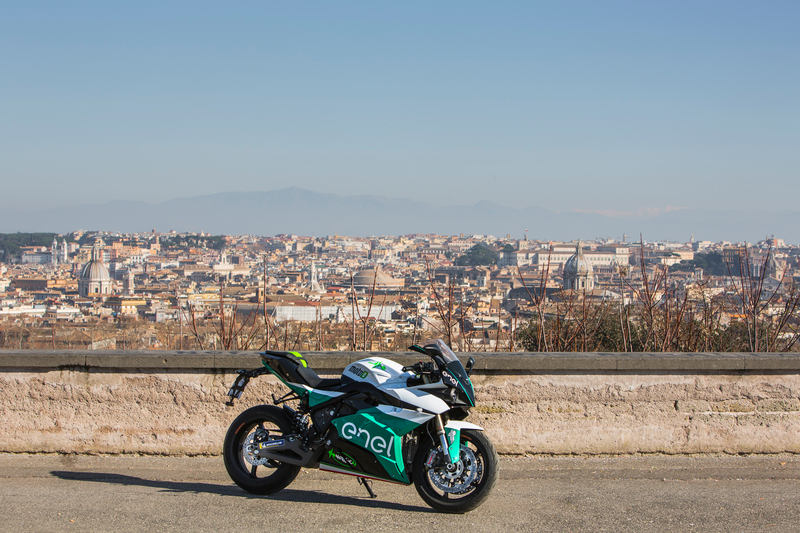 Dorna Sports officially introduced the FIM Enel MotoE World Cup, a new electric Grand Prix racing class set to begin in 2019 as part of the MotoGP tour. 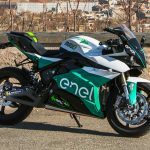 Dorna also unveiled the Energica EvoGP, a race-tuned version of the Ego that will be the used for the MotoE World Cup. 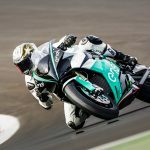 The inaugural MotoE World Cup will be held over five races at select European rounds of the 2019 MotoGP championship. 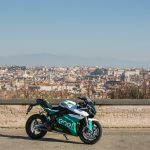 For the first season, the grid will have 18 entries, two bikes for each of the seven private teams in the MotoGP class and another four EvoGP bikes reserved for Moto2 or Moto3 teams that wish to compete. 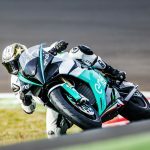 Riders will be contracted by the individual teams, though it’s unclear if any riders already contracted to race in the other classes will be competing. 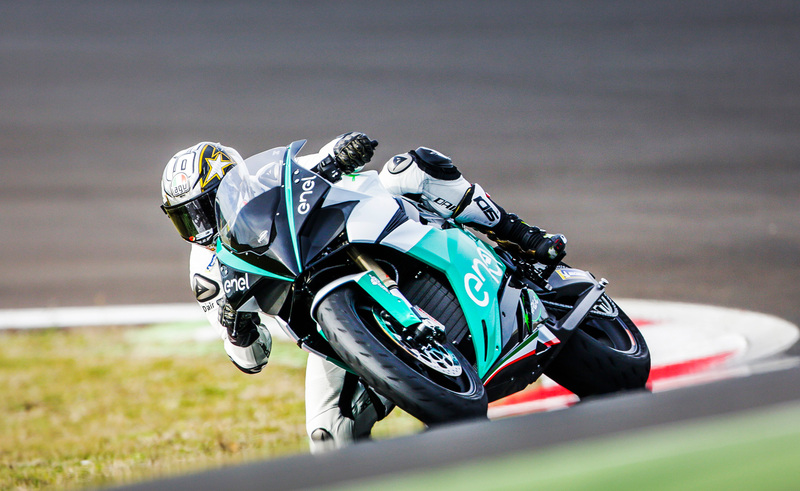 They’ll obviously already have their hands full with their own races each weekend, and the potential risk of injury might be a prohibiting factor. 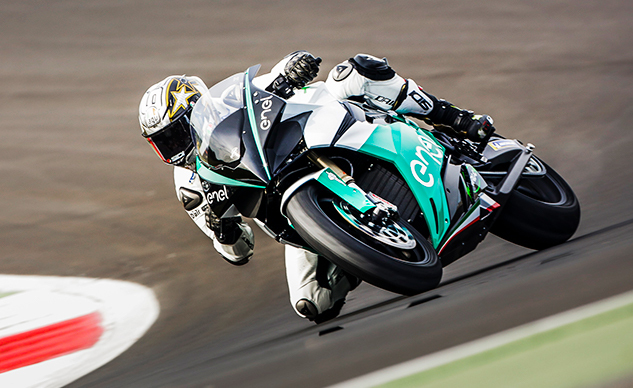 Practice sessions will take place on Fridays with qualifying held on Saturdays. Races will be held on Sundays along with the other race classes. Races are to be only 10 laps long (perhaps with some variance depending on circuit length), with no plans to increase the race length. The shorter race length was selected not just to make it easier to schedule into a race weekend (though that is likely a factor) but also to encourage development to focus on delivering improved performance and faster speeds rather than on conserving energy to endure a longer race. 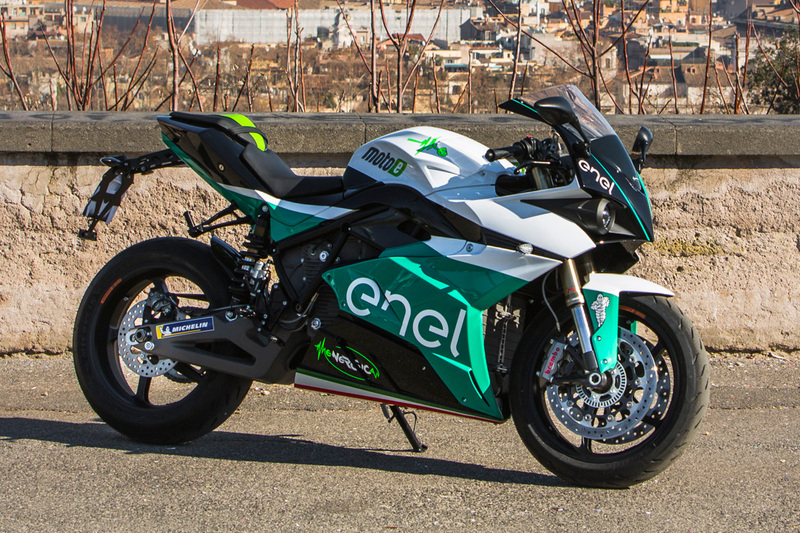 The EvoGP shares much in common with the production model Evo. 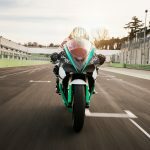 Both use an oil-cooled permanent magnet AC electric motor, but the EvoGP will produce more horsepower (a claimed 147 hp compared to the Ego’s 145 ponies) and an estimated top speed of 155 mph (the production bike is limited to a speed of 150 mph). A Vehicle Control Unit regulates the power from the lithium-ion battery, inverter, charger and regenerative braking system. The VCU uses a multi-map adaptive energy and power management algorithm, making adjustments to the motor’s power delivery 100 times per second. 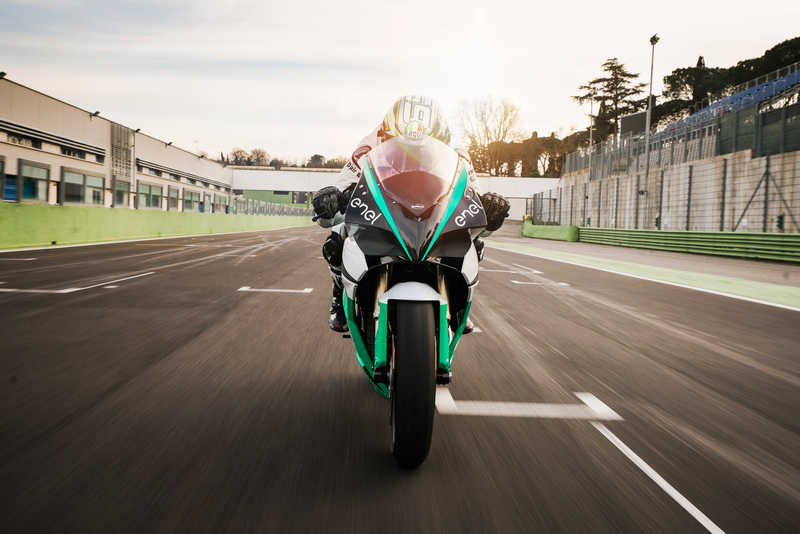 The EvoGP will sport forged aluminum wheels with tires supplied by Michelin, which also provides rubber to the MotoGP class. 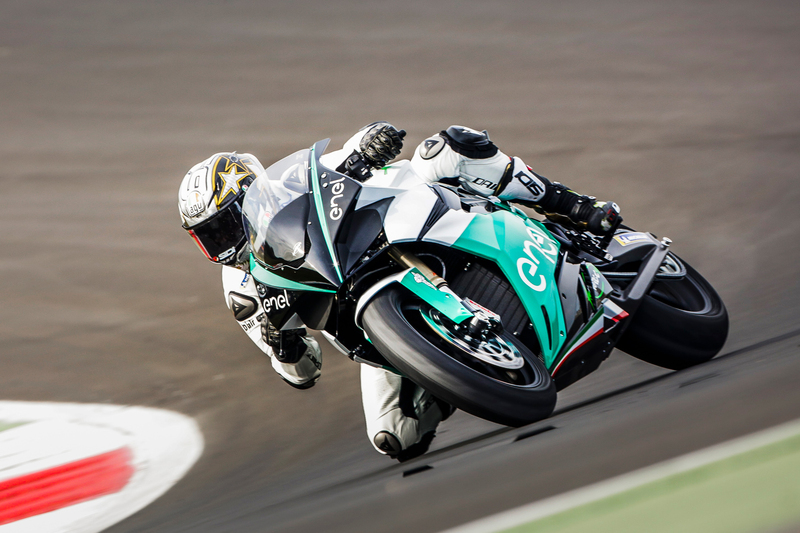 Energica will continue developing the EvoGP through the 2018 season and teams will take part in their first official tests of the bike in February 2019 at the Jerez circuit.